Galaxy IRAS 16399-0937 hosts a megamaser, creating an intensely bright region that beams out microwave emission rather than visible light. 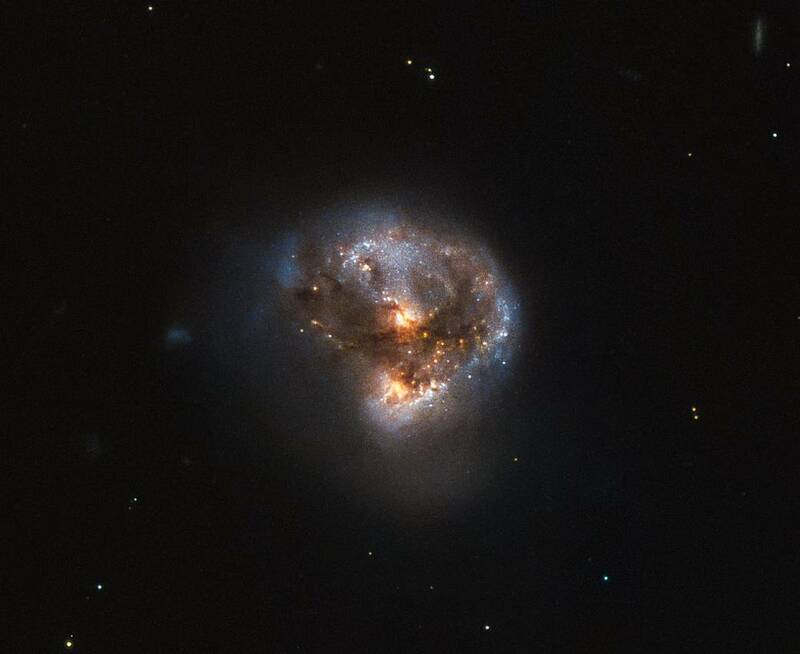 A megamaser is a process where gas clouds or other components within a galaxy radiate intense energy like microwaves. Think of this as an astronomical laser. IRAS 16399-0937 is located 370 million light-years from Earth.